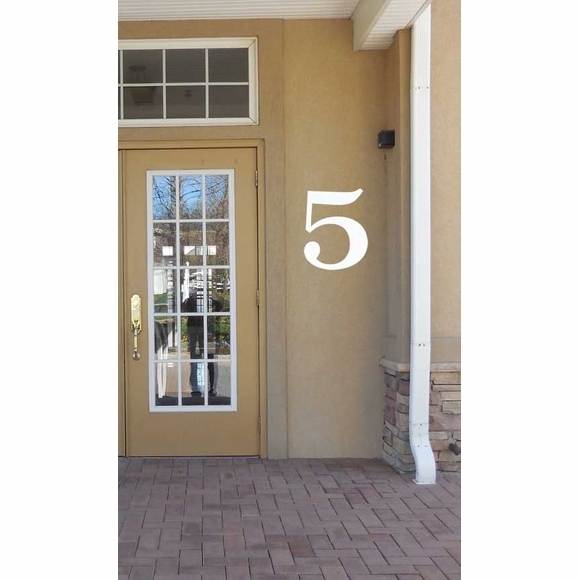 Large Reflective Address Numbers 15"
Large Reflective Address Numbers 15" for Houses and Commercial Buildings - - . Custom made in the USA. The numbers are made from 1/16" (.0625) acrylic which means they are very thin and lack depth since their main purpose is to be reflective. If you are interested in thicker numbers, please do not order this product. Numbers can be arranged vertically, horizontally, diagonally, or however you wish. Comes with 3/16" diameter fastener holes and stainless steel mounting screws. The number of holes varies from one to four depending on the number. Dimensions (approximate): the number 1 is 15"H x 5.5"W. All other numbers are approximately 15"H x 10"W.
Comfort House exclusive 911 signage allow fast and easy address identification for emergency 911 vehicles, deliveries, and visitors.